Box of 25 pyramid bags of "Sencha Calida" tea by Compagnie Coloniale This blend of Oolong and green teas releases fruity notes of red berries, vanilla and gooseberry. 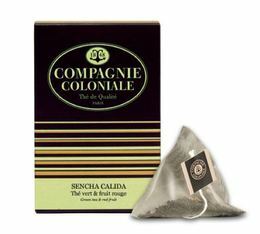 One of the best flavoured teas from Compagnie Coloniale! Kimono green tea from French brand Comptoir Français du Thé. 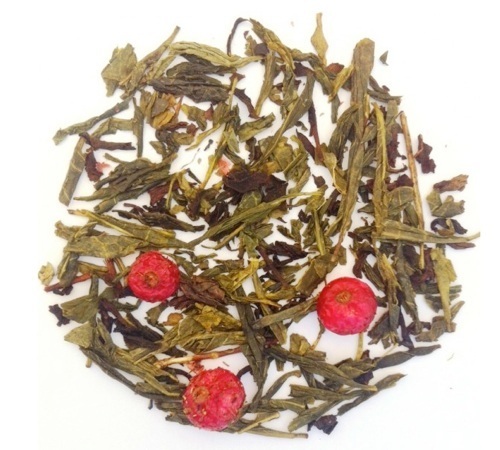 A popular blend of green tea with peach and apricot flavours! Box of 20 individually-wrapped tea bags.